The countdown to the State Fair of Texas has begun! For those planning a trip (or a few trips! ), these money-saving opportunities are available Friday, September 28 to Sunday, October 21. Buying in advance (and printing yourself) will save you a couple of bucks on general admission. You can also purchase tickets through the DART GoPass app, which will save you $2 off every ticket, any day and allows you to access them right from your phone. Lastly, add tickets to your Kroger shopping list: $16.50 for general admission. Sign up to become a Big Tex Insider and get the latest ticket discounts emailed to you. 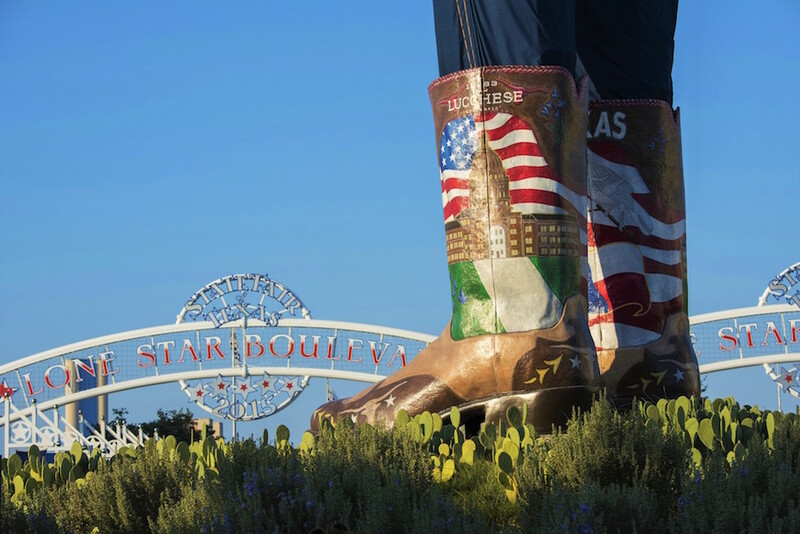 Insiders also receive first access to pre-sales, information on every show and State Fair attraction, discounted merchandise from the Big Tex store, and a special message from Big Tex on your birthday! Bring an empty 20 oz. bottle of any Coca-Cola product on any Thursday (Oct. 4, 11 and 18) during the fair and enter for only $9. Bring a full 20 oz. bottle of Dasani water or any 20 oz. Coca-Cola product for donation to the North Texas Food Bank and get in for only $9 on Opening Day. Bring an empty Dr Pepper can on any Tuesday (Oct. 2, 9 and 16) and general admission is only $9. Dr Pepper Half Price After 5 p.m.
Bring an empty Dr Pepper can after 5 p.m. each day and admission is half price. All active and retired public law enforcement, firefighters, paramedics and other emergency service agencies will receive free admission when they present a valid badge or ID card, plus up to three admission tickets for their family, on October 12. For groups of 20 or more, the fair offers tickets as low as $10 per person — a 33% savings overall. When you’re done eating those tasty nuggets, be sure to grab the coupons from your tray liner or to-go bag. You’ll save $5 off general admission or half the price of a kid’s admission (with purchase of general admission) on any day. All active military, retired military and veterans receive free admission on Opening Day when they present valid documentation of military service. Spouses of service men and women with a valid Military Spouse ID also receive free admission, as well as accompanying children under the age of 18. Bring four cans of food as a donation to the North Texas Food Bank on any Wednesday (Oct. 3, 10 and 17) during the fair and receive $4 admission. Online tickets are $1.50 less than tickets purchased at a State Fair gate. Who doesn’t visit the fair multiple times? For around $45, the season pass grants you access every single day and includes one free single day, bring-a-friend ticket. All season passes come with a State Fair reusable bag, one free Midway race game, a 10% off coupon for State Fair gear at official stores on the fairgrounds, and a $5 discount on the 2018 State Fair of Texas Cookbook. Season passes can also be purchased at Kroger for $39. Senior citizens 60 years and better get into the fair free every Thursday (Oct. 4, 11 and 18) of the State Fair. Thrifty Thursdays are back, offering special food pricing every Thursday (Oct. 4, 11 and 18) during the fair. Save on everything from cotton candy to funnel cakes. For more information on this year’s State Fair of Texas, visit BigTex.com.